First, for context, a basic review of concrete vs. abstract reasoning (cognition); it will be helpful for readers who haven’t spent a whole lot of time thinking about the differences between the two. Whereas concrete reasoning allows us to think about what is here and now, in front of our eyes and in our hands, abstract reasoning allows us to conceptualize or generalize, understanding that each concrete object, experience or concept can have multiple meanings and be seen as just a part in a great matrix of complicated associations. Time, for example can be understood as a concrete concept: 60 seconds equals one minute, 60 minutes equal one hour, and so on. Or it can be understood as an abstraction: time is a psychological concept overlaid onto some sort of phenomenological reality, and represents change, but is not a concrete thing in itself. The ability to see time as a mental construct, rather than just in the concrete meaning it has for us humans in organizing events, allows us to see patterns beyond the obvious, and allows us to use these patterns to guide us toward understanding a variety of ideas or clues to ultimately understand the bigger picture and to solve larger problems. that is, one step at a time. grouping steps together to be more efficient and quick. finding simple patterns in complex information, perceiving relationships among various seemingly unrelated aspects, and detecting and creatively resolving logical discrepancies and practical problems in non-linear ways. In meta-thinking, one can think about one’s own thinking, one’s ways of learning, knowing, remembering and understanding, and can apply one’s thoughts to “big picture” or “non-linear” vision and insight. 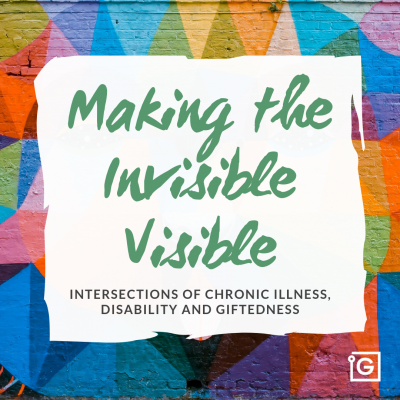 It is thanks to my mentor Michelle Quarton, and a number of key people who have seen my giftedness (and its accompanying legitimate suffering) and have dedicated themselves to helping me channel it, that I am able to sit down and write any of the above thoughts. In my early 20’s I was stuck living someone else’s life (a life based on others’ expectations and my lack of knowledge of my giftedness) and I became crippled by social anxiety and a kind of panicked existential depression in which I had come to feel that my mind was a liability and that there was no way I would ever be able to do anything positive with my life. 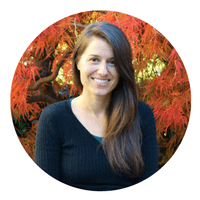 Along with some very courageous life choices, it was Michelle’s guidance that helped me to accept my giftedness and figure out how to live a healthy – if not conventional – life with it. If you’ve never found a mentor, my InterGIfted team and I would be to help you find the right one for you: visit our coaching & mentoring page and email us at coaching@intergifted.com to find out more. Learn about your ever-expanding cognitive matrix map. 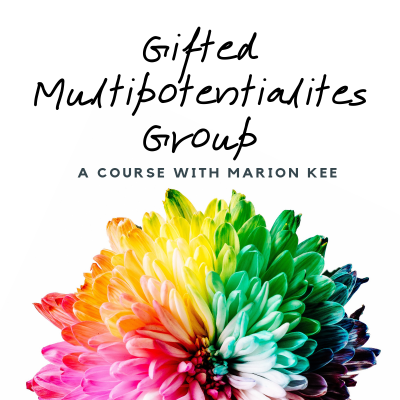 A qualitative giftedness assessment with me or with my trainee coach Silver Huang is an ideal place to start. Our blog here and my blog on my site Rediscovering Yourself are also helpful places to explore. And my upcoming book will help a lot with this, as I present a cognitive mind-map for mild+ and high+ gifted people to assess how their own particular mind is processing the world. 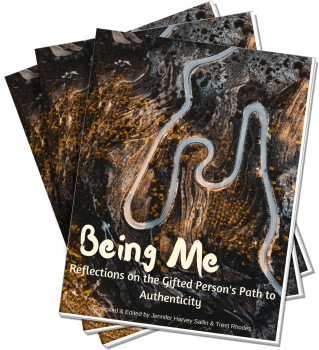 Meantime, gifted coaching or mentoring is also an effective way to learn about this, and we have a large network of gifted coaches all around the world in our InterGifted Gifted Coaching Network, with many of us specialized in supporting highly to profoundly gifted individuals (myself included). Not in a cliché way. Actively study your mind and learn how it operates, so you can have more control over where you direct your attention. I could not overemphasize the importance of this step! Notice what voices repeat themselves over and over again; study the enemy within, get to know it, so that you can fight it with dignity or simply learn to ignore its empty threats. Notice what truly inspires you within your mind, and dive into that. Expand what gives you pleasure in your mind, study what gives you pain. Learn to differentiate between the two, and actively train yourself to value the pleasure over the pain. 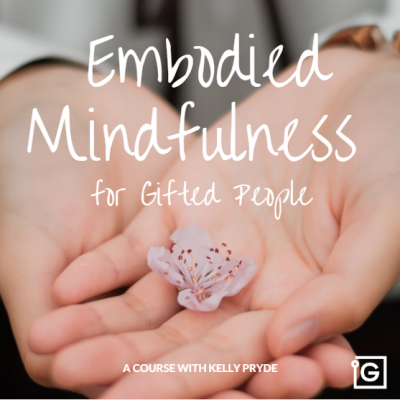 Join our partner project The Gifted Mindfulness Collective to learn about and practice gifted-specific mindfulness in a community of gifted peers. 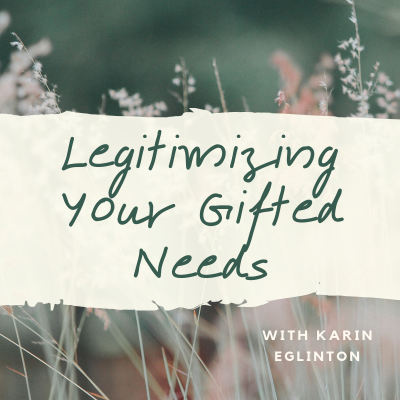 I’ve started a peer group for people who identify as high+ gifted, called the HEPG Group. So for the rare amongst the rare (the one in 10,000 to 1 million), it will be easier to find true peers to discuss, share, and create with, as well as learn from! Learn more here and let us know if you'd like to join. interested in your book when published. Thank you for the information. These last mounths, I’ve read a lot about giftedness (i scored very high when i was tested). Your article is one of the most interesting i came to read. I would like to tell you one thing and ask a question. I’ve also discovered that I can dive intentionaly in that river. I don’t let her capture me anymore. Sometimes, you don’t mention this although i’m quite sure you know about it, the river seems to grow and to be willing to flood everything. I just don’t know why…It simply happens. I do no more feel threathened by this. I let the move happens, I’m always safe (but shaken). I’ve already put in practice all of your advices…Meditation doesn’t work for me (yes, I did graduate for MBSR) but there are many ‘like-conducted’ activities that will have the same results on me (walking, woodworking…). I really would like to find a mentor. Where can I find one? I’ll be happy to help you find a mentor! I’ll private message you now. Wishing you all the best on your giftedness discovery journey! Thank you for being the lighthouse in this dark dark sea of confusion and self doubt. You should do a podcast! Jennifer, there’s so much noise about giftedness on the internet. So much abstract talk of what it entails. Your intimate insight in the workings of a gifted mind are truly invaluable. My SO is profoundly gifted, and you have helped me understand him better. I cannot thank you enough. Jennifer, Thank you. Born in 1962 and told I was very smart but broken since birth. Meta cognitive. After the death of my beloved 23 year old son Michael, I experienced Global positive disintegration and found Dubrowski. I cannot express the sheer relief I have experienced reading this article. Especially with regard to the mind-noise, and the difficulties with seemingly promising friendships with people who are only mildly or highly gifted. Also a lot of food for thought here in raising my PG daughter. I will be reading more on this site,and then perhaps looking into coaching, for either or both of us.